Introduction to Juicifix : Tejomay Rastogi - Creative Director, has worked with many a publication house and advertising agencies; & Avrio Rebello - worked for an event production company, both professions did not have easy access to healthy lifestyles, hence Juicifix came into being. Our vision at Juicifix is to make healthy convenient, to provide people with really tasty nutritional juices at affordable costs and do whatever we can to help people in need of health for e.g: cancer patients, diabetics, children and overall people with a busy lifestyle. The idea is prevention, take care of your health today rather than pay through your teeth tomorrow. Our brand philosophy : We wake up everyday knowing that we are going to do a good deed, it's a great feeling to wake up to. At Juicifix we feel most content and that's what keeps us going, happiness. Happiness is knowing that someone, somewhere is healthier because we have made the juice that keeps them healthy. Happiness is knowing that the juice we make can make this world a better place, a place of giving. Happiness is understanding that the health quotient in our juice will never be compromised on. So here's to - skin to cleanse, hearts to touch, minds to heal, fat to burn and the fit to just 'Fit in'. Here's to good health and heart beats, quicker feet and clearer thoughts, diabetics and cancer patients, to cholesterol and obesity, that healthy does not have to be boring. That we can make a change, start small and be the change you want to see. We at Juicifix believe in a change, a healthier tomorrow. A happiness in waking up everyday knowing that we are doing a good deed! For the benefits that healthy juicing provides, they are priced below average. As compared to heavily oiled toxic food that has no benefits, if not adding negative benefits. A Juicifix representative selling cold-pressed juices was once asked at a food exhibition by an elder, “why is the juice priced so high?” soon after gobbling down a cheese meat sandwich that was as small as a cup cake and ironically priced way more than the cold-pressed juice. We pay a premium for curing ourselves with medication and hospitals but question the price of prevention by healthy eating! A Juice cleanse is meant to clear your system off toxicity, make you lighter and provide for more clearer thought process, these are only a few of the benefits. 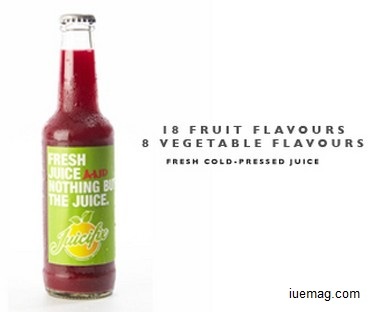 A Cold-pressed juice a day is a healthy + good tasting substitute to the junk that we Indians are exposed to. A cold-pressed juice company in the United States ‘sells out’ off the shelves of supermarkets almost every-day; this juice, that is meant to stay on the shelf for 40 days (using HPP) sells out within a day and is priced 3 times higher than the price we pay out here in India. This only goes to show that the juice is not priced too heavily instead our mentality towards health is. Look around you, there is only one size that defines us from the rest of the world and it’s a size of concern for humans alike: The size is ROUND! For those who compare Cold-pressed pricing to canned juice shelved for days on end, with added chemicals, artificial flavours and un-natural benefits to enhance quality, quantity and add shelf life, I say god bless you. No literally, you’re going to need him! For those that juice at home, you know just how much goes into healthy juicing and how difficult it is to actually juice veggies, notice how I have chosen to NOT mention the “High Nutrition” content of cold-pressed juice, there is already so much to read about this. Read about cold-pressed juices. We are here to give you a second chance at health, take it! Look around you how many health initiatives are there or have survived? None! No you should not find another lame excuse as the price is too high. Just remember every time you do find an excuse for health, you’re only adding to radius around your waist and reducing the one around your heart. Think before you buy yourself a 150Rs burger, don’t think before you buy yourself a 150Rs Cold-pressed Juice.